We met a friend for lunch on a really cold day. 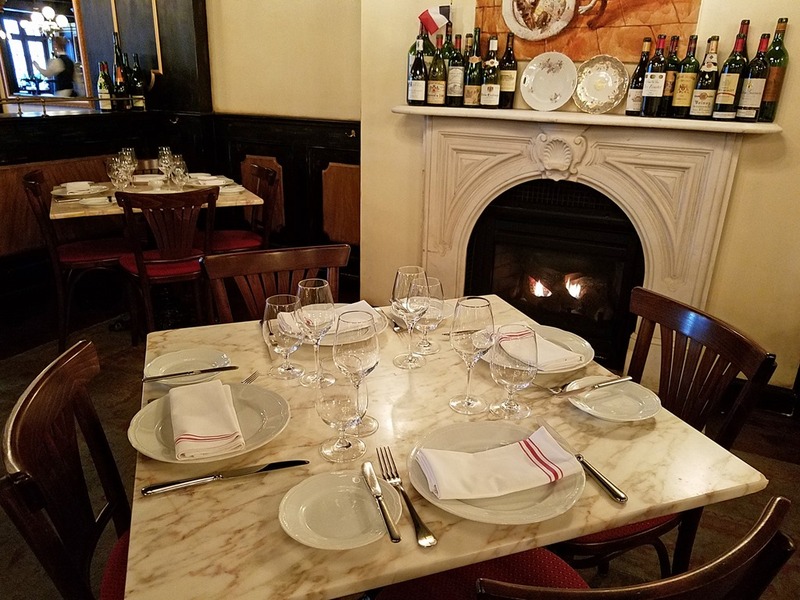 Once inside we found a quaint French bistro with a fireplace burning and warmed up quickly. Normally I post about dinners but this lunch was exceptional. 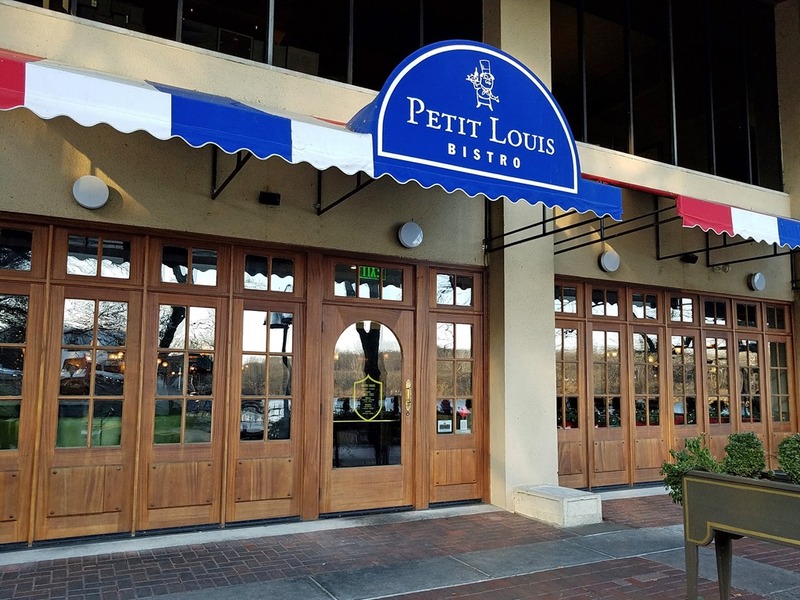 It is also worth noting the owners, the Forman Wolf Restaurant Group, will close Petit Louis Bistro soon to do a brand reset and remodel. The new restaurant will be a more casual Italian space called Lupa. 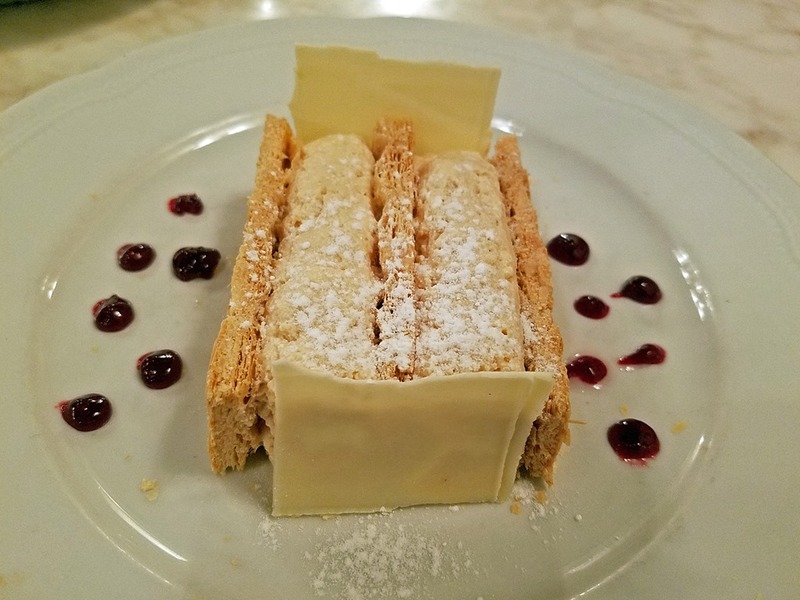 The décor is classic bistro. 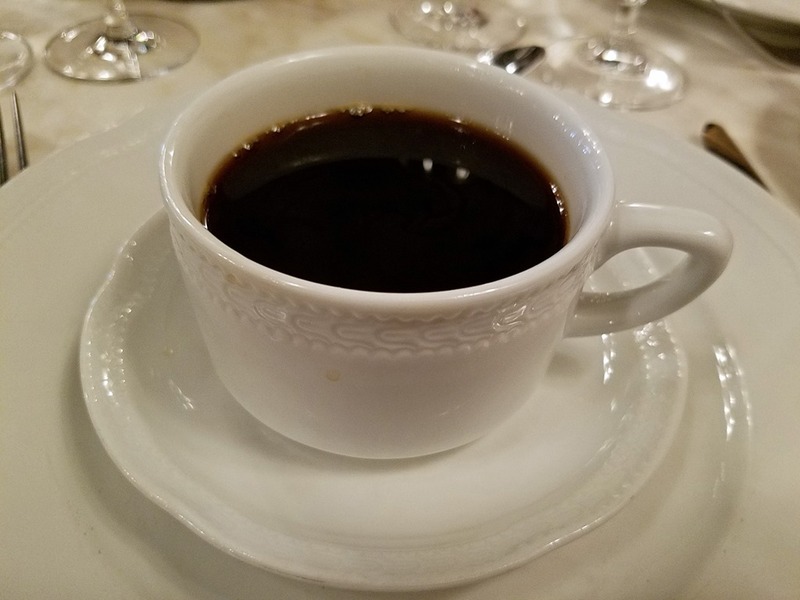 The rich full bodied coffee with the fireplace warmed me up. 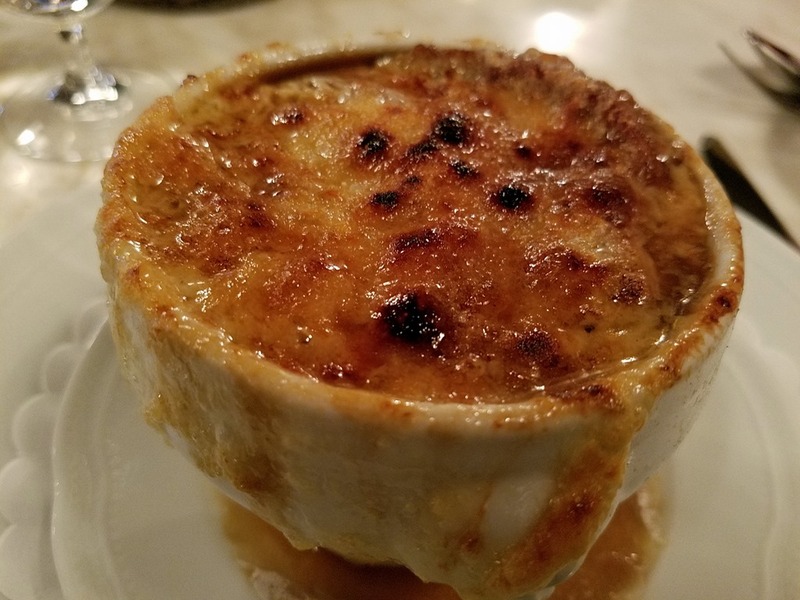 The traditional French Onion Soup was excellent and not overly salty. 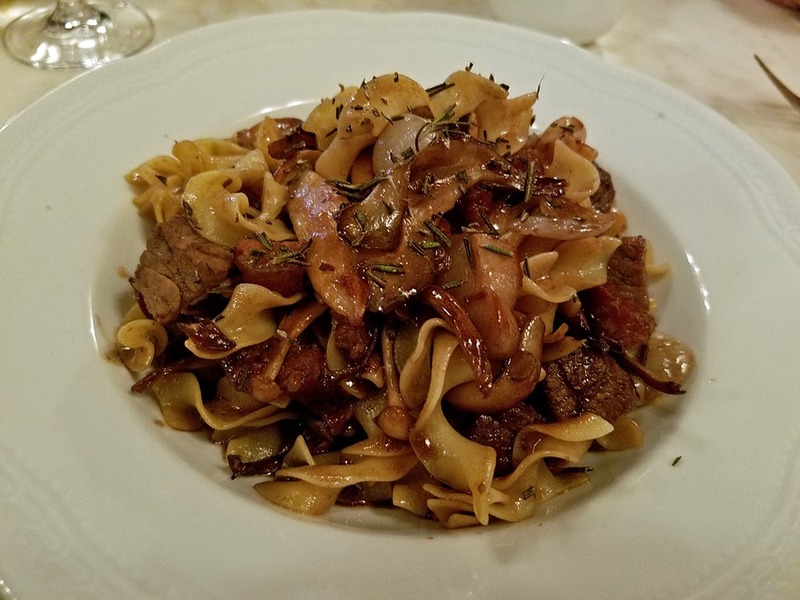 I ordered the Beef Bourguignon with Braised Beef, Egg Noodles, Mushrooms, Bacon, and Pearl Onions. The beef was super tender in a wonderful sauce. The soft egg noodle are perfect for the dish. 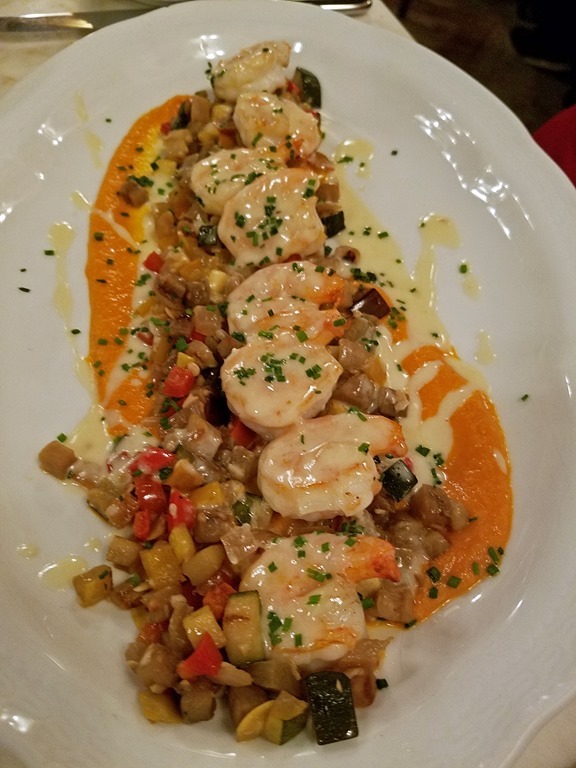 My wife had the Grilled Shrimp Brochette with Ratatouille , Tomato Coulis, Garlic Butter Sauce. The shrimp was cooked perfectly with a wonderful garlic butter sauce. 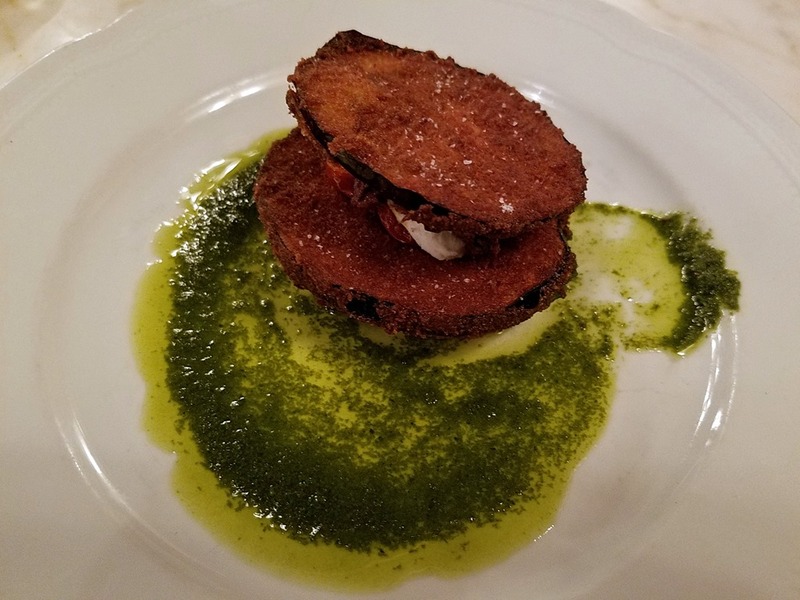 Crispy Eggplant with Roasted Tomato , Chèvre, Pistou, and Olive Tapenade. Crème Brûlée with caramelized sugar and cocoa nib tuile. 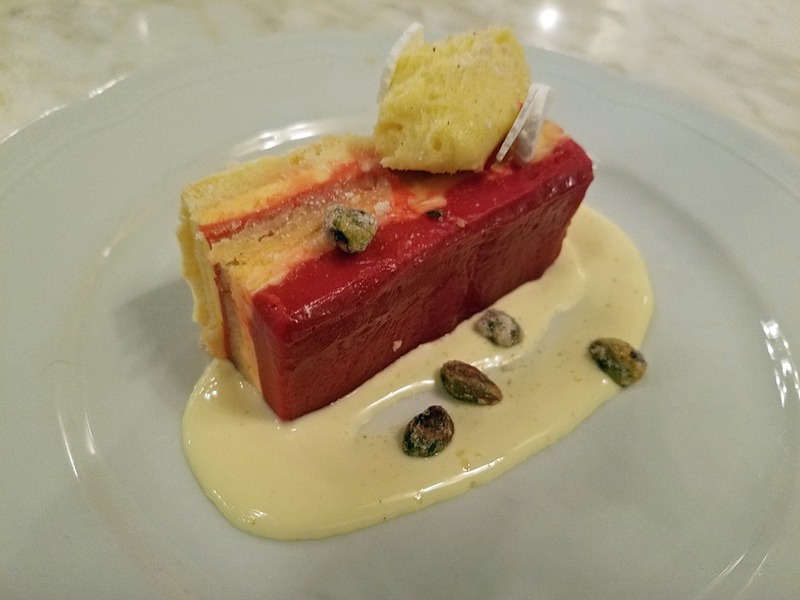 Blood Orange Gateaux, a crème anglaise, pistachio buttercream, crispy meringue, and candied pistachios dessert. 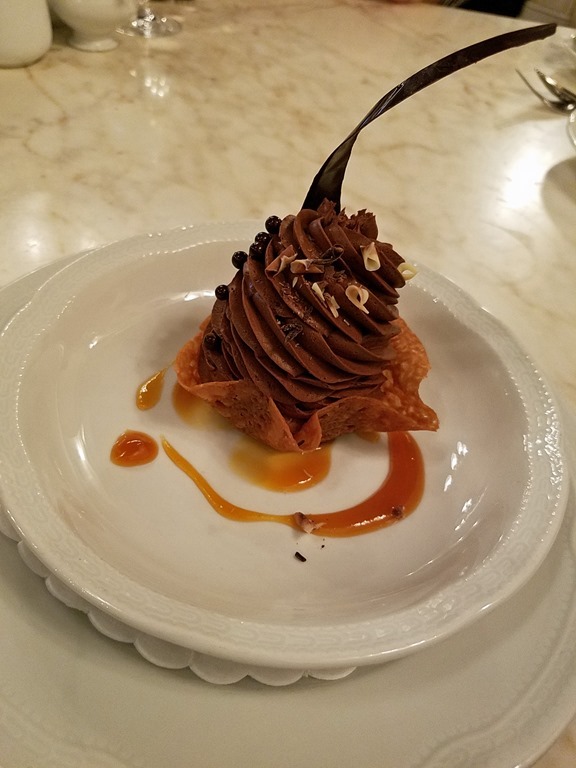 My Chocolate Mousse with Espresso, Grand Marnier, and Lace Tuile was amazing. It was smooth with just the right chocolate taste. 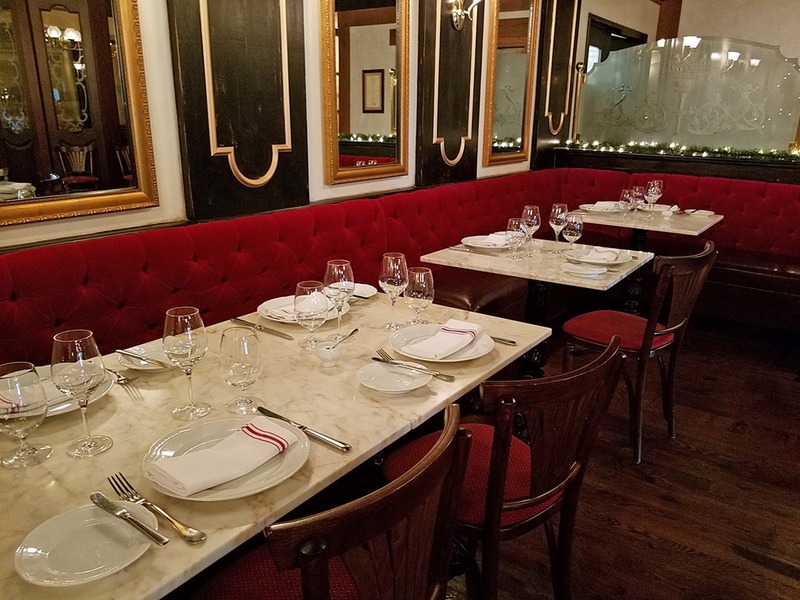 I’m not sure how much longer Petit Louis Bistro will be around but if you are in the area and have a chance to get lunch before it closes you won’t be disappointed.